Today is TANABATA(Japanese star festival), isn’t it? 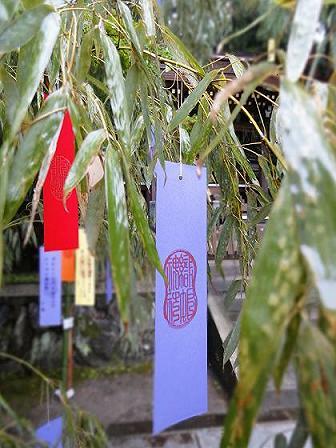 At the day of TANABATA, we still have a custom of writing our wishes on oblong card and hang it from bamboo leaf with decorations to pray to the stars. Today, I went to IMAMIYA shrine. 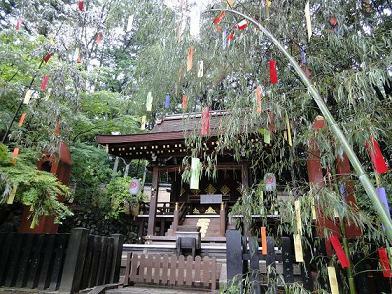 At Imamiya shrine, there are ORIHIME shrine, and decoration of TANABATA was made. I remember the days I wrote down the wishes on oblong card every year, and viewed the starry sky. Today, what did you wish to the stars?